Maybe you're not sure what you're after, but you know that 'textiles' and 'Africa' are part of the equation. So look no further. 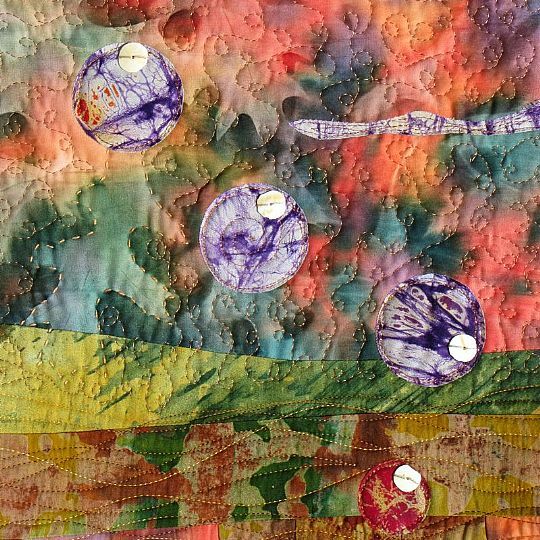 Have a browse: you might find a quilt kit, bag kit or book that you just can't resist. 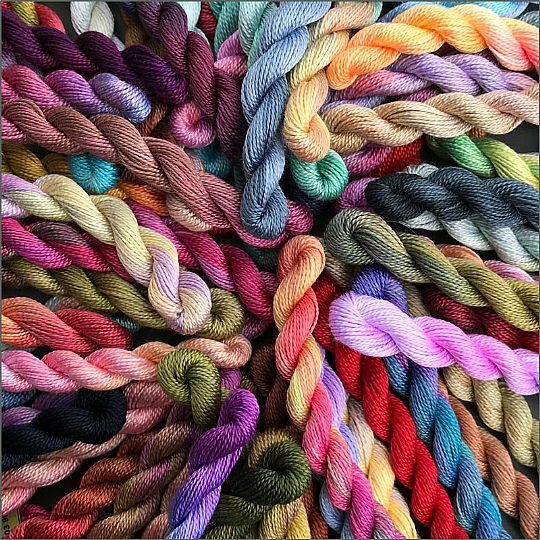 Perle No 8 embroidery threads, hand-dyed in South Africa by Chameleon Threads. Perfect for any hand embroidery application. On our travels around Africa, we're always on the lookout for the unique and unusual - and not just textiles. Here are some interesting artefacts that we just couldn't resist. Enjoy! And that pretty much sums up our quilt kits. 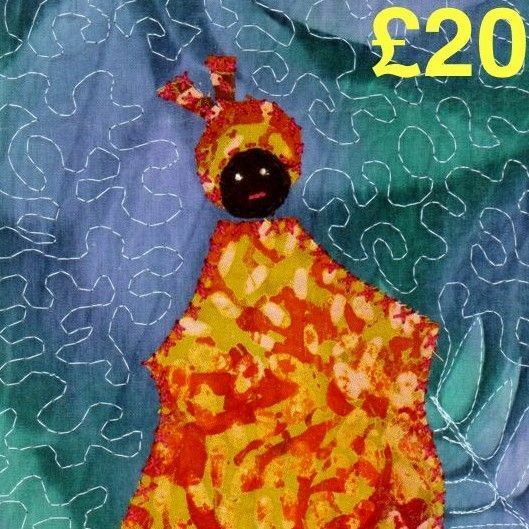 Magie designs some of them, but they are mostly by our friend - textile artist Helen Conway, who loves African fabrics. 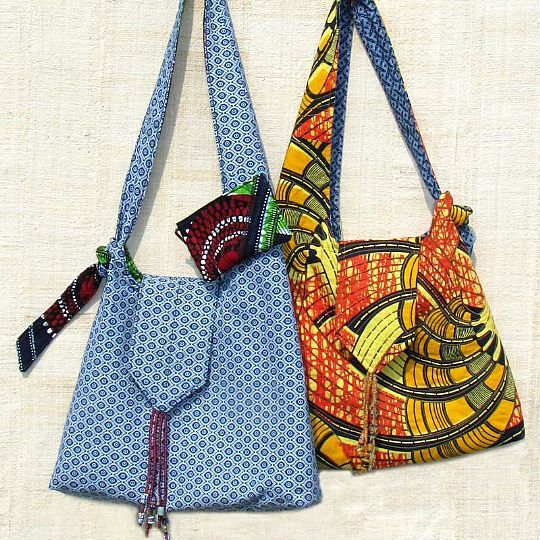 Our bag kits are designed exclusively for The African Fabric Shop by our friend Dorothy Deane. Dot is crazy about bags and loves African fabrics. Her bags are easy to make and fantastic to look at. Try one! 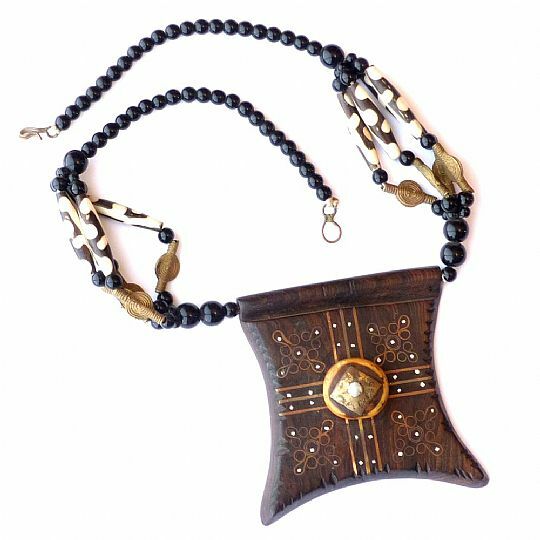 Our jewellery kits are designed exclusively for The African Fabric Shop by our friend Isobel Holland. Isobel helps out in other ways as well, basically taking over the show when we're on the road in Africa. Isobel is a talented and creative jewellery designer. 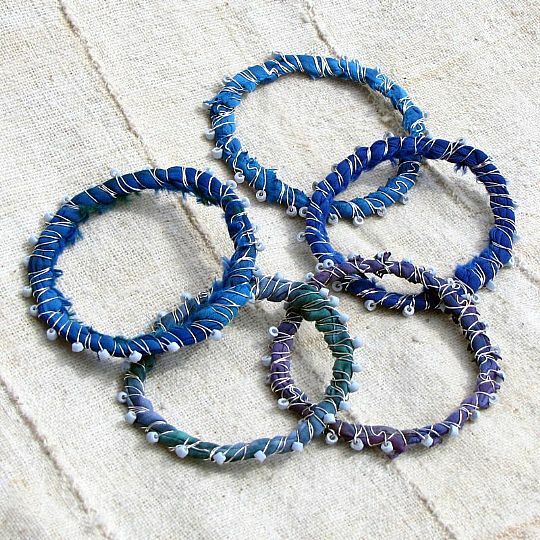 Her kits are easy to make and really show off our handmade, recycled African beads. Watch out for Isobel's occasional jewellery making workshops, as well. 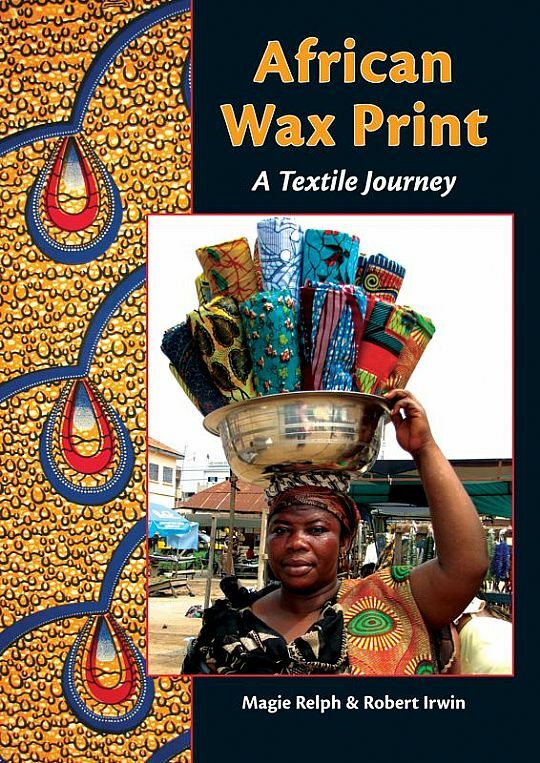 We also stock a few other hard to find, specialist titles about African textiles written by friends of ours like John Gillow and Christopher Spring, both recognised African textiles gurus. 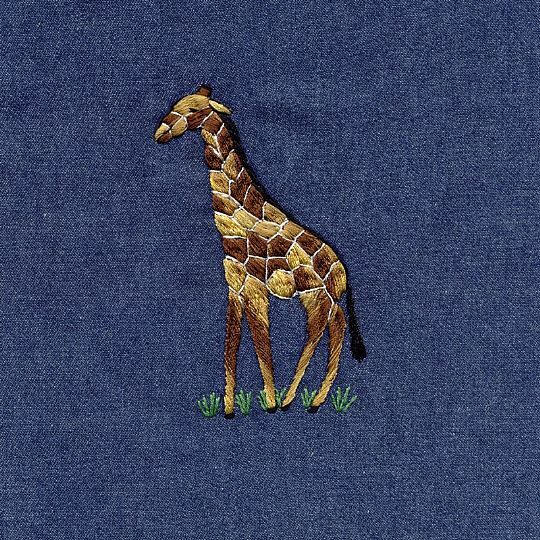 Magie's been to Kenya a couple of times in recent years as guest teacher for the Kenya Quilt Guild. Through the Guild, she met Christine Kibuka. When Magie saw Christine's beautiful embroidered panels, she just had to have them for the shop. It took some convincing - Christine was worried her stitching wasn't good enough - but they really are lovely and now she can barely keep up with demand. Well done, Christine! If you've ever been to Africa or elsewhere in the developing world, you'll know that keeping the environment tidy is an unaffordable luxury. Eating comes first, cleaning up is way down the list. Which is not to say that African's don't care about their environment: far from it. 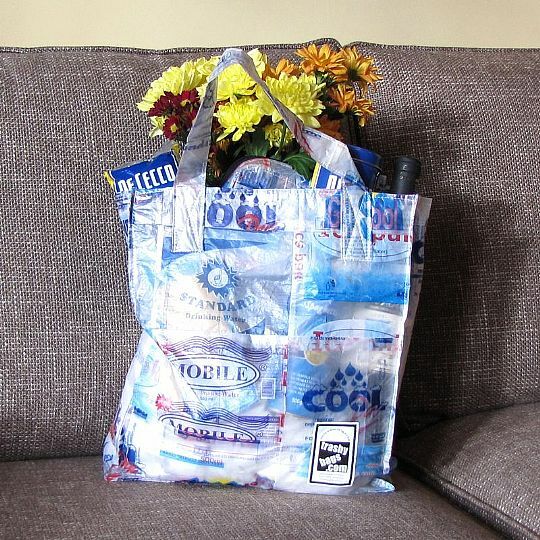 Witness Ghana's Trashy Bag project. Boys who would otherwise be unemployed scour the streets collecting discarded plastic water bags. After a thorough cleaning, Trashy Bag staff members then cut and sew these bags into these recycled products: Trashy Bags! They're strong, durable, eco-friendly and very cool. £10, 20 and £50 pound values. Easy to buy, easy to redeem against any African Fabric Shop website purchase from anywhere in the world. And you can add an African greeting card for only £2.50.